Artists don’t have limits, why should you? 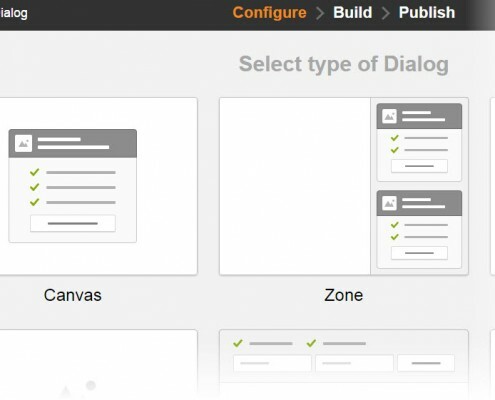 Use our visual designer to drag and drop elements such as buttons, fields, images and more onto a canvas. If creativity isn’t your bailiwick, don’t worry! 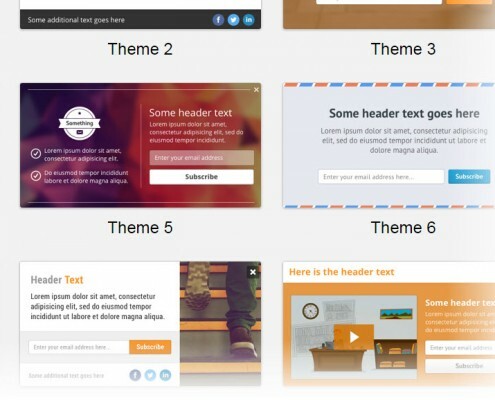 Choose from over nine different out-of-the-box, professional-looking themes and start customizing from there. Add dozens of attention-grabbing, crazy effects to your content, such as a shake, jiggle or slide in. 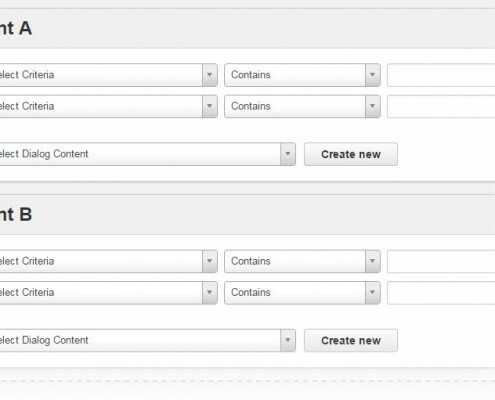 Preview your content on your website before deploying it. Download the brochure and share it with your friends or colleagues! Quickly grab your prospect’s or customer’s attention by personalizing content to the visitor. Make communication more relevant, and visitor-specific. Use any data point in the system to dynamically insert values into content. Use someone’s name in your messages, insert the city they live in to make them do a “double take”. 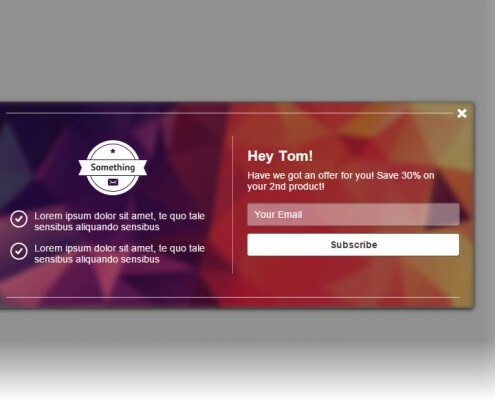 Start personalizing interactions to engage website visitors. Convert more visitors from anonymous to identified by capturing email, name and other information. Make your website content more personalized to have meaningful interactions and dialog with your visitors. Grab your visitors attention before they leave with compelling offers or incentives. Bring your site to life. Not big on engagement windows or any type of popup? Don’t sweat it…embed dynamic content into your website. Replace any combination of images or blocks of text with content that’s relevant to your website visitors. Have a visiting prospect looking for a specific product, show them a whitepaper for that product on the homescreen instead of a generic document. Use a person’s name to grab their attention. Show different images based on a visitors location. Possibilities to personalize embedded content are endless. More personalization = higher engagement. Show dynamic, engaging content in real-time as visitors come to your website. 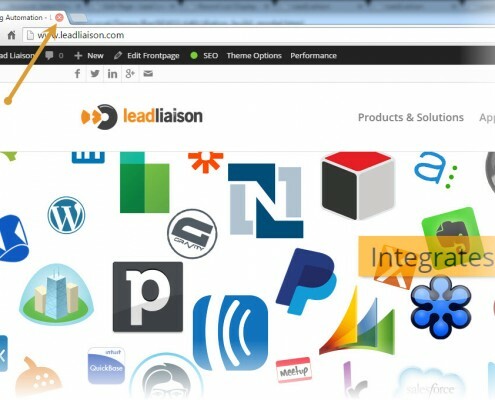 Lead Liaison builds a rich profile of your website visitors that strengthens over time. We combine behavioral information, things the visitor does (email opens, clicks, page visits, document downloads, video watches, webinar attendance, etc. ), with demographics from your CRM and rich social data to deliver a powerful, data-driven profile of your customers, partners and prospects. That data can be retrieved in real-time and used in a rule set that tells the system when and where to show embedded content or engagement windows. It’s the coolest thing since sliced bread! When your visitor has enough of your website, they’ll close the browser tab or search for something else. Lead Liaison intelligently detects this exit intent to show an attention-grabbing engagement window, complemented with a visual effect – like a shake. It’s an excellent way to make a final attempt to identify your visitor, get them to engage, or simply stay longer on your website. KC & The Sunshine Band said it best, “Please Don’t Go“. 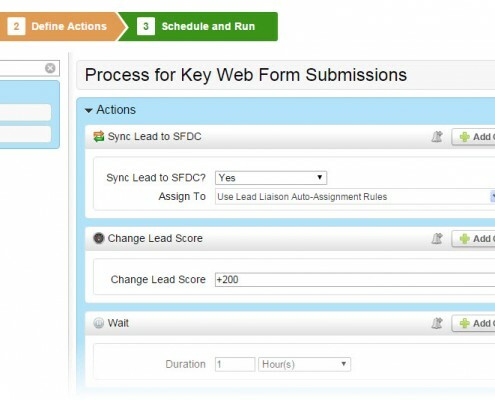 SiteEngage™ is deeply integrated with Lead Liaison’s marketing automation platform. When anonymous visitors are converted via SiteEngage™, Lead Liaison can trigger any combination of intelligent actions that further engage your visitor with multi-channel, multi-touch communication. For example, after someone enters their information for an offer or a whitepaper displayed via an engagement window, you could follow up with emails, text messages, postcards, internal task reminders, all related to specific content. Long-tail lead nurturing creates additional touch points with your prospects and builds relationships. Want to get fancy? 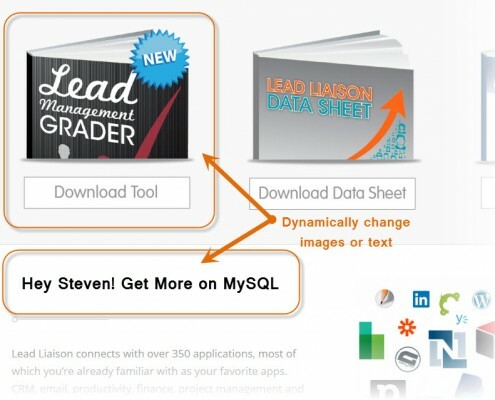 Assign the lead to a salesperson then deliver your touch points automatically, on behalf of sales! Welcome to the world of automation. Save money. Drive sales.